Yesterday was a hot one! It was already 22’C at 7:45am and was forecast to reach 45’C by 2pm and it sure felt like it in the afternoon. It felt like an oven! A cool change came over late evening and by 8pm was under 30’C. 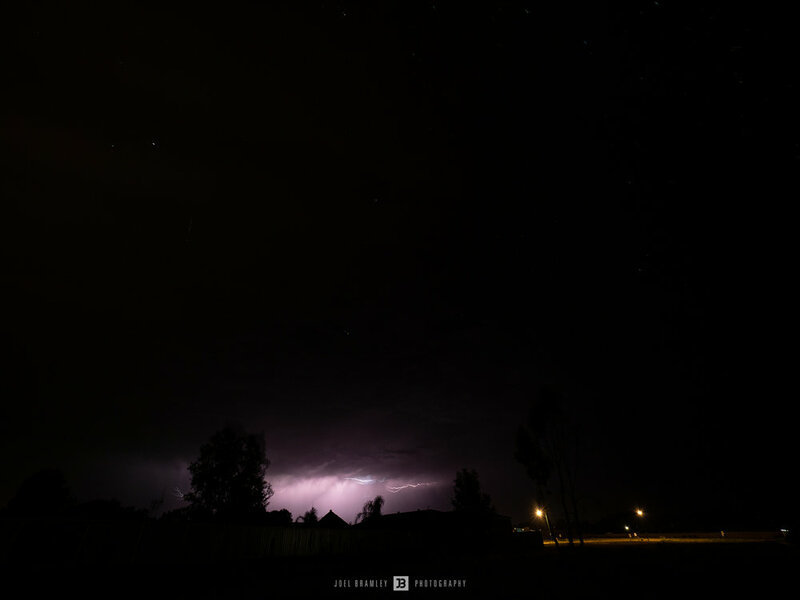 Crazy weather then some storms around 1:30am which I stayed up until 2am trying to capture after getting home just after 12am from watching Aquaman. Time for some storm/lightning photos, the thunder got me out of bed at around 1am, not that I was asleep yep after watching a late session of Aquaman. Lightning tracker app on phone was alerting me that lightning was happening around 30km away and some as close as 3 (which I missed) most of the storm was at least 20km away from me standing in the open block next door to get around trees. The awesome part of this storm was that because it was some distance off I got to see stars through gaps in the clouds and it makes the photos look more interesting. I did capture most of one bolt that was close on my first Live Composite capture. Be sure to view them large! Finally whilst I was taking long exposures with Live Composite mode on the camera and I wanted a photo of the gap in the clouds showing stars I got my phone out and put the Night Sight mode to a test, this always blows my mind, I cannot do this with my actual camera. I’ll be putting together a post with lots of examples of Night Sight at a later time.